Rights advocacy group, Socio-Economic Rights and Accountability Project, says it has filed a petition before the International Criminal Court against 11 state governors who have been unable to pay workers’ salaries. The group, in a statement on Thursday by its Executive Director, Adetokunbo Mumuni, listed the 11 governors it dragged before the ICC as Rauf Agbesola of Osun State, Olusegun Mimiko of Ondo State, Ayodele Fayose of Ekiti State, Abdulfatah Ahmed of Kwara State, Abiola Ajimobi of Oyo State and Nyesom Wike of Rivers State. Others are Bayelsa’s Governor Seriake Dickson, Samuel Ortom of Benue State, Mohammed Abubakar of Bauchi State, Yahaya Bello of Kogi State and Simon Lalong of Plateau State. SERAP said it had asked the prosecutor of the ICC, Mrs. Fatou Bensouda, to probe and try the 11 governors for alleged crime against humanity involving thousands of Nigerians stemming from unpaid salaries. The group argued in its petition dated July 7, 2016 that the failure of the 11 governors to pay workers’ salaries had occasioned severe deprivation, mental and physical health challenges to workers in their states, which it argued fell within the definition of crimes against humanity. It argued that the governors had breached the provisions of Article 7(1)(k) of the Rome Statute of the ICC, which, SERAP said, criminalised all forms of inhumane acts intended to cause great suffering or serious injury to body or to mental or physical health. “SERAP believes that the non-payment of salaries of workers amounts to a serious attack on human dignity covered in the definition of ‘other inhumane acts’ under the Rome Statute, and fit within the ICC’s mandate. “The gravity of non-payment of workers’ salaries for several months should not be dismissed a priori as lesser than that of the radically egregious acts that the ICC has so far prosecuted,” SERAP argued. It accused the governors of reducing the lives of the workers in their employ to “a bare life, or life not worth living, thus taking away their human dignity,” due to their failure to pay the workers their salaries. 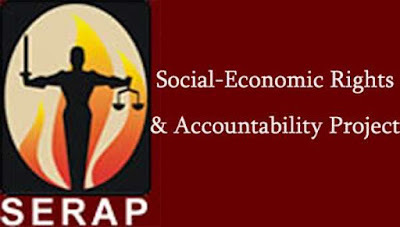 It said, “SERAP is seriously concerned that several state governments in Nigeria are failing and/or refusing to pay workers’ salaries, amounting to billions of naira in arrears. “The state governments that have failed and/or refused to pay workers’ salaries include Bayelsa, Benue, Bauchi, Osun, Rivers, Oyo, Ekiti, Kwara, Kogi, Ondo, and Plateau states. Describing the non-payment of salaries as a mass atrocity and widespread violations of human rights by the governors, SERAP urged the ICC prosecutor to invoke her good offices to probe and prosecute the defaulting governors.